On Saturday, August 14, George Lucas announced he would release all six of the live-action Star Wars films on Blu-ray Disc in fall 2011. The release will be the first time the films have been offered in high-definition disc format, and will include extra features and footage that has been previously unseen. 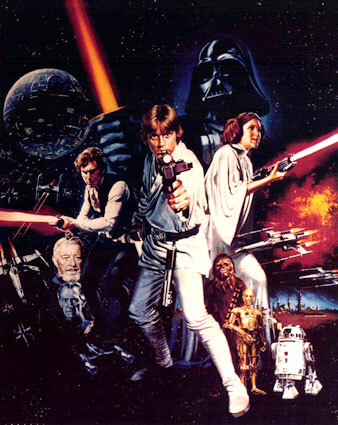 The original three Star Wars films: “Episode IV – A New Hope,” “Episode V – The Empire Strikes Back,” and “Episode VI – Return of the Jedi,” will be the 1997 “special-edition” versions that were re-released to theaters in 1997 and later digitally remastered and released on DVD in 2004. The hi-def disc versions of Star Wars will be distributed as a box-set by Twentieth Century Fox Home Entertainment. No pricing or exact dates for the fall 2011 release were revealed. Lucas made the announcement during an interview with Jon Stewart at the Star Wars Celebration V in Florida. Lucas made no mention of the rumored transfer of Star Wars films to 3D, although you can be sure he is keeping an eye on the format.